Zuckerberg's testified before US Congress for the first time ever and accepted that Facebook didn't do enough to prevent the platform from being used to harm others. Facebook CEO Mark Zuckerberg on Tuesday testified before the Congress and during his five-hour testimony, the lawmakers asked him tough questions on fake news, Russian interference during the 2016 presidential election and censorship of conservative media. During the hearing, Zuckerberg also fielded questions on Facebook's data collection practices, the company's alleged monopoly power and his views on regulating Internet companies, CNN reported. Facebook is currently embroiled in a widening scandal that a British data firm called Cambridge Analytica had improperly gathered detailed Facebook information on 87 million users, up from a previous estimate of more than 50 million. This is the first time that the Facebook CEO is testifying before Congress. With 44 senators asking questions, and just five minutes of time allotted for each, there was limited potential for followup questions to and grilling of the CEO, the report said. Senator John Thune, a Republican from South Dakota, asked Zuckerberg if he's willing to make a commitment to protect political speech from "all different corners." Zuckerberg agreed and said, "If there's an imminent threat of harm, we're going to take a conservative position on that and make sure that we flag that and understand that more broadly," he said. "I don't want anyone at our company to make any decisions based on the political ideology of the content," he added. Asked if he was committed to ensuring that activist groups like Black Lives Matter aren't "unfairly" targeted or monitored. Zuckerberg said that the company was committed to that. "And in general, unless law enforcement has a very clear subpoena or ability to get access to information, we're going to push back on that across the board," he added. On a question if Facebook has a political bias, the 33-year-old executive said that the platform's goal was not to engage political speech. Zuckerberg said he understands those concerns, especially because "Facebook and tech industry is located in Silicon Valley, which is an extremely left-leaning place." But he said he tries to make sure Facebook does not have any bias in the work that it does. 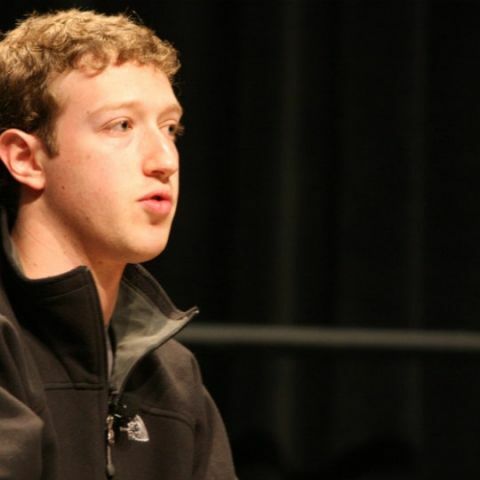 Facebook's stock was up about two per cent even before Zuckerberg sat down. It moved even higher when he started addressing the questions from lawmakers and finished the day with a 4.5 per cent gain.